=OS= Design Notes May 22th, 2015: Hunter Berzerker Legendary! 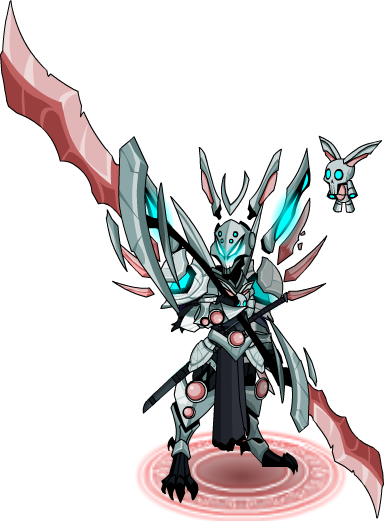 All Forums >> [Artix Entertainment Games] >> [Oversoul] >> Oversoul General Discussion >> =OS= Design Notes May 22th, 2015: Hunter Berzerker Legendary! I was not expecting an update today. What a LOVELY surprise, THANK YOU NULGATH! 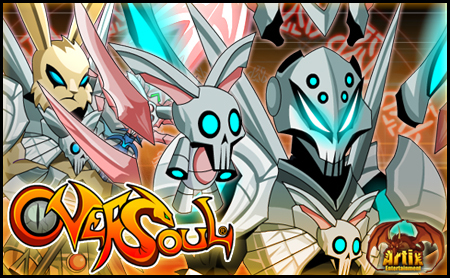 I wish AE would give Oversoul more of a chance! That robot bunny skull is surprisingly cute. im not a big fan of the name though. Great 'ART-WORK' from Nulgath, always seems to surprise me & the fans. Am I the only one hoping that they use the less frequent releases as a opportunity to do bigger updates? I know, not gonna happen due to the other games,but I feel as thought there is a opportunity here. They said they're going to have less releases to work on other games, so I don't see how they could work on this too. I must admit, was not expecting it to be free either. I don't think you understand; they're using that time to work on other games, that's why there will be fewer releases in OS. They can't use their free time to work on OS because they're using it on other games. Wow! nice release and suprise by nulgath but fewer release in summer still love it! You don't capture him, you buy the normal zerker and level it up to 20. Hunter looks freaking overkill badass! Unfortunate about the further diminished releases, but que sera sera. Wait it wont come back next year? is it rare or seasonal rare? Is there any link for a vid? about this new bunny character of course. @Above for where to get it? I like HB only problem is with the deck changing one of the heals into a greater heal and turning the other heal into chaos flux would of made him better and kept the other holy strike. A free legendary with a little bunny. I know what's next on my to do list. Is that an Akumi bounty hunter thingy robot?